We don't do ordinary! 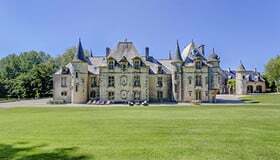 Here you'll find castles, former dungeons & lighthouses among others in our quirky collection of holiday chateaux. Fancy a dip? 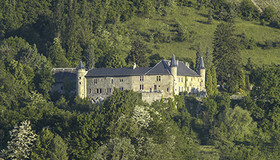 Check out our holiday chateaux and luxury villas in France with private swimming pools. 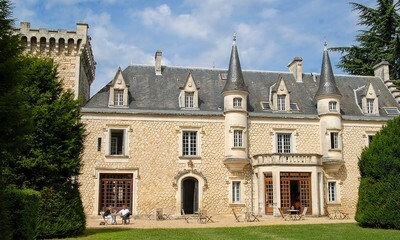 Live the fairytale in any of these impressive french chateaux - which are surprisingly good value! 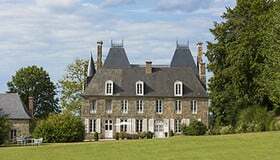 For the 'je ne sais quoi' when it comes to self-catering in France. 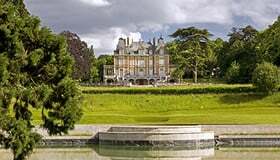 Discover our favourite French chateaux & luxury villas that ooze appeal. We want your villa in France to be as inexpensive as possible, so keep an eye on our special offers so you don't miss out! 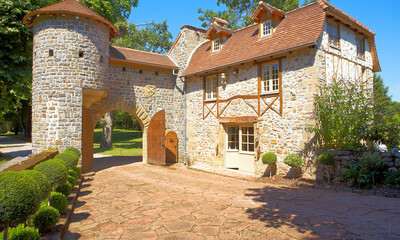 From the South of France to Dordogne, we've got it all! France, it's the most popular tourist destination in the world and truth be told it's not hard to see why. Beguiling, mesmerising landscapes (with forests covering about a quarter of the country), calm and cosmopolitan all at once – there’s always plenty to see, but never enough time, which is just one of the many reasons travellers continue to return time and time again. Holidays in France are one-size-fits-all. Great for family holidays? Check! We're talking grandparents and all. France is as family-friendly as they come, spoiling with a mix of cultural delights, activities and entertainment. In Corsica the turquoise waters are made for snorkelling, swimming and sailing; Vendée and Poitou-Charentes are home to the Futuroscope and Le Puy de Fou, two of France's leading theme parks and the Dordogne's caves, rivers, farms and walled medieval citadels appeal to even the youngest of travellers. What about beach holidays? Check! The French coastlines are overflowing with beaches, some better than others, but it’s often easier to suss out the best ones. On the Atlantic coast, the Landes region has a long stretch of flat and endless beaches. Families, surfers (no escaping these guys around here) and youngsters can tire themselves out all day – but be weary of the strong Atlantic currents. Hendaye Beach is the most family-friendly beach in the South West, loved by locals and Spanish neighbours alike for its tranquil waters and huge stretch of white sand, whereas Seignosse Beach is where the surf's at. Languedoc has a few sandy beaches but worth noting that it can get fairly windy by the coastline. The beach in Cap d'Agde is naturist (non-naturists welcome too) and Leucate Beach is by far the region's standout. Naturally, if you’re looking for a safe bet of sun, sea and sand, there’s nowhere better than the French Riviera which features an array of stunning beaches. Thankfully, we’ve already sought out the best beaches in the South of France. Adrenaline sports? Check! The biggest, of course, being ski. Skiing in France is a dream, in the winters the Alps and the Jura Mountains turn into one giant snowy playground for all ages. Skiing in January is laid back, cheaper and has great powder, but families tend to hit the slopes in February due to the school holidays. Groups and couples favour March and April when prices drop again, resorts become livelier, and the weather is warmer. Your heart might be racing on the slopes, but France is also home to the city of love and romance. Perfect for picturesque settings and happily ever afters, weddings and honeymoons in France are becoming more popular year on year. 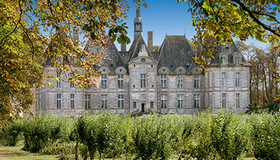 Fairy-tale castles of the Loire Valley, grand manor houses and cosy cottages – you’ll be spoilt for choice. To cut a long story short, there’s no second guessing a holiday to France. With so much to see and do, you’ll be hard pressed to come back home. 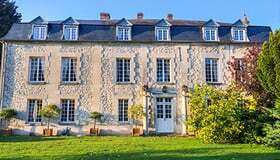 Why choose a French villa? We fell in love with France from the very beginning, in fact, it’s the sole reason we’re here at all. It’s the bread and butter - and the beating heart of Oliver’s Travels. After an impromptu post-university, chateau holiday to Dordogne, Ravi and I realised that we had experienced something unique. Unlike anything else, we just knew we had to replicate it. 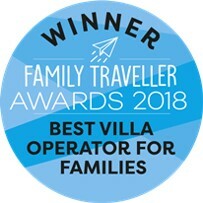 Fast forward, and we’ve amassed over 14 years’ experience covering holiday homes in the Dordogne, Loire Valley, the Cote d’Azur, Provence, Brittany, Vendee and beyond. With your mind set on France, now comes the tall order of picking a French villa. Although, it becomes all the easier once you decide on the type of holiday that you're after. If its Mediterranean climate, our lavishly modern (and often beachfront) villas in the Cote d’Azur will fit the bill. For opulence and authenticity, our French chateaux pack a mighty impression. Our chalets in Chamonix and Meribel are ace for budding and avid skiers whereas village hoppers and history buffs will be better suited to our quaint cottages in rural France. 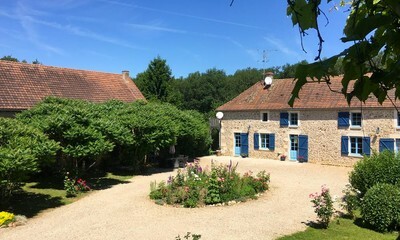 Self-catering in France is a pleasure that can be enjoyed by families, couples, friends and solo travellers. Gone are the treacherous limitations of staying in a hotel; our villas in France are wholly unrestrictive. Swap the same four walls, for one of a kind picturesque landscapes that include vineyards, ocean views, mountainscapes and more. But best of all, you call the shots. As our never-ending portfolio continues to grow, we ensure to tick off villas with pools, homes that are within walking distance to villages, beaches nearby and great for families. 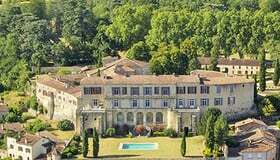 Our villas and chateaux in France have all been hand-picked for their unique charm and stunning locations so you'll be able to enjoy this whirlwind destination and all it has to offer. 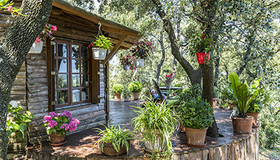 Best for: wine tasting, gastronomy (cheeses and truffles), active holidays. Places to visit: Vezelay, Morvan National Park, Chateauneuf-en-Auxois. Read more: Local’s guide to authentic Burgundy, Family activities in Burgundy. 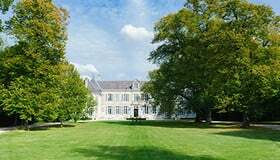 Best for: wine tasting, rillettes, Loire Valley chateaux. Places to visit: Chateau de Chenonceau, Chartres Cathedral, Château de Minière (for wine tasting). Read more: Best foodies experiences in the Loire Valley, Local’s guide to authentic Loire Valley. Best for: cidre, buckwheat galettes, family holidays. Places to visit: Ploumanac’h Natural Site, Saint Malo, Crozon Islet. Read more: Best foodie experience in Brittany, Best Kids activities in Brittany. Best for: champagne (duh! ), snails and oenology tourism. Places to visit: Reims Cathedral, Troyes, Epernay. Read more: Local’s guide to authentic Champagne, Best foodie experiences in Champagne. Best for: family holidays, apples and ‘moules frites’. Places to visit: Mont-Saint-Michel, Honfleur, Monet’s Gardens in Giverny. Read more: Best things to do in Normandy, Best foodie experiences in Normandy. Best for: city break, foodie travel and croque-monsieurs. Places to visit: Paris, Chateau de Versailles, Chateau de Rambouillet. 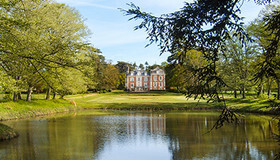 Best for: family holidays, macarons d’Amiens and fricadelles. Best for: active holidays, cheeses and saucisson. Places to visit: Bonifacio, Restonica Canyons and Calvi. Best for: bouillabaisse, tapenade, glamourous holidays. Places to visit: Saint-Tropez, Verdon Gorge, Palais des Papes. Read more: A week on the French Riviera. In short, the best time to visit France depends on the region you'll be visiting. The South of France is a real summer scorcher but as the Mediterranean climate comes alive, so do the crowds. From mid-June to August, the water is pleasantly warm, and temperatures reach highs of 30°C+. However, if you're keen to discover the French Riviera off-season, go between April-early June or September-November. 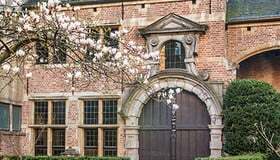 Northern France, like nearby Britain, is unpredictable and wet and generally mimics the same temperatures as the UK. The west coast shares also the same unpredictability; even in the summer, it is subject to thundery days. Temperatures in Central and Eastern France are more comfortable to judge thank to its continental climate – meaning cold winters and hot summers of 25°C. If the weather isn't a significant consideration, but instead you're looking to avoid the crowds, then give Easter a miss and stick to spring and autumnal months. Ski aficionados should also be aware of the February school ski break. It’s also worth knowing that the French also love to holiday in their own country between mid-July to the end of August and rightly so – but again, increasing the flurry of crowds. Is there any country more renowned for its food than France? Flavoursome cheeses, melt-in-the-mouth pastries, buttery escargots and some of Europe's finest meat. France is a foodie's paradise through and through. Add in the 7-8 billions of bottles of wine produced each year and you're onto a winner. Thankfully, our concierge service can combine them both together to amplify an already unforgettable holiday. 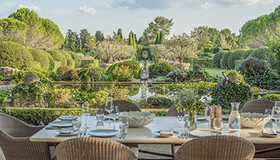 Your villa holiday to France can also be paired with a vineyard visit and wine tours - we can even provide you with a top-of-the-range private chef to recreate some of the regions best dishes. Top regions for wine tasting: Burgundy, Loire Valley, Aquitaine, Champagne, Dordogne. If its beaches for days that you're after, France will happily oblige. In particular, the Cote d'Azur. That said, there is also a fair share of good beaches dotted along the southwestern coast, especially in the Landes region - so it's whatever takes your fancy really. Top regions for beaches: French Riviera, Provence, Biarritz, Corsica, Aquitaine. 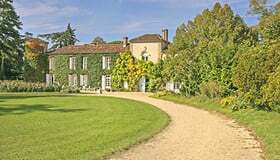 Sleepy, relaxed and quintessentially French - village life is exactly what you expect it to be. Morning strolls to the local market, leisurely drinking an aperitif at lunch and slowing down the overall pace to enjoy the best villages in France. With that in mind, we aim to keep our villas within walking distance of villages, after all, it's the best way to soak up the local culture. Top regions for quaint villages: Dordogne, Brittany, Normandy, Languedoc. Don’t like to put your feet up for too long? You're in luck, France is one of natures best-loved playgrounds. Whether it's hiking in the Midi-Pyrénées, skiing in Chamonix or cycling through the Pic du Midi, there's always an outdoor pursuit to sink your teeth into. Top regions for outdoor activities: Dordogne, Vendee et Charente, Normandy and Aquitaine. 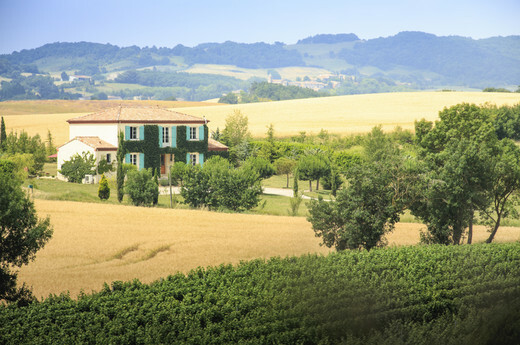 Mountains, forests, ocean views, vineyards and more - you name it, chances are you'll find it in France. We recognise a good view when we see one and we've made sure that our villas in France have exactly that. Whether it's from the comfort of your veranda, pool, or hot tub, you'll be making the most of these spectacular panoramas. Top regions for views: Dordogne, Burgundy, Corsica, French Riviera. All there is to know! When in France, never waste a good meal, not only is it in poor taste, but the food is too moreish not to devour. In fact, in 2016 France became the first country in the world to ban supermarkets from throwing away unsold food - everything is either donated to food banks or charities. While we’re on the subject of food – hello, France is the home of gastronomy and was awarded UNESCO World Heritage Status in 2010 - you should know that lunch is between 12-2pm, two-hour lunch breaks are not a myth. Most places stop serving after that, so you've been warned! If you opt for a glass or bottle of wine, always serve your companions first and don't forget to cheers. “Santé!” wishes your table good health, so be sure to make eye contact as you clink glasses. It also goes without saying but make an effort with the locals in French. Beginner or not, as long as you have a few essential phrases under your belt, you'll fair highly amongst them. While many will speak English, the aim is to do your best. We owe the word etiquette to the French, so it's no surprise that etiquette and manners are taken seriously, politeness prevails in French culture. To kiss or not to kiss? Typically speaking, if you're greeting a stranger, you'll shake hands while friends and family will kiss - usually twice. Although some will kiss three or four times – depending on the region. In Brittany, they've adopted just one kiss! For the lowdown, this quirky French map of kisses will keep you clued up. Social etiquette is also straightforward, the French aren't into heavy drinking or binges. Avoid getting drunk and being too boisterous, they like to keep their surroundings sweet and mellow.